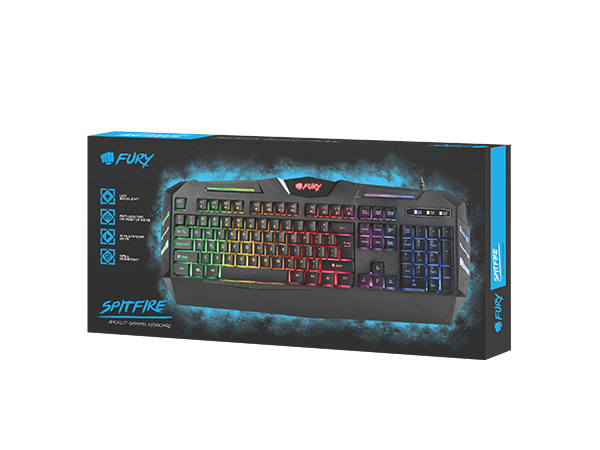 The backlit Fury Spitfire gaming keyboard is a device which ensures the optimal balance between functionality and gameplay comfort. Now every gamer will be able to comfortably control their gameplay and achieve even more in the virtual world. 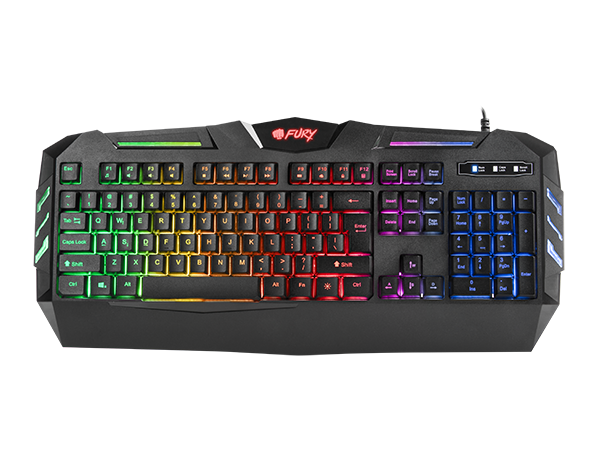 Multi-colored LED backlighting in 6 intensity modes (0%, 20%, 40%, 60%, 80% and 100%) guarantees comfort of gameplay regardless of the season and time of day. Even better in-game precision is guaranteed by an anti-ghosting function for most keys. Now, even when pressing a larger number of keys, you will avoid instances of freezing the game or locking-up the device. The keyboard features a possibility to block the Windows key, which is especially useful during gameplay. 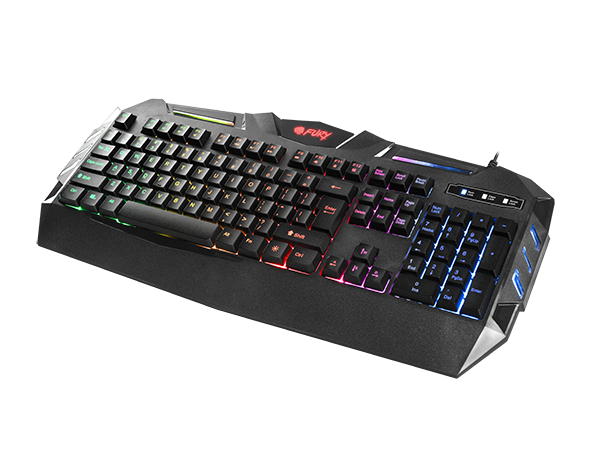 The bottom section of the keyboard has been elongated in order to create a space on which the gamer can conveniently rest their wrists and increase comfort during gameplay.